GREAT SCOTT~! 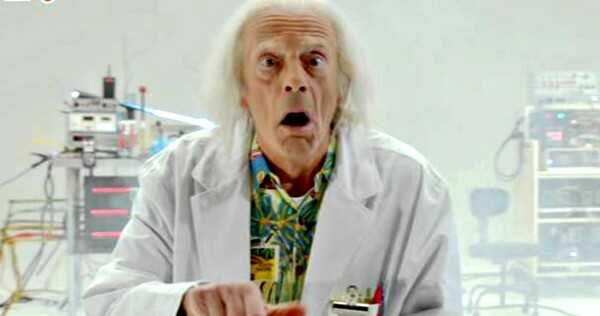 It looks like the upcoming new 30th anniversary release of Robert Zemeckis’ “Back To The Future” trilogy will have something special to offer for fans looking for new content, as legendary Hollywood actor and comedian Christopher Lloyd will be reprising his role as Doctor Emmett “Doc” Brown for a brand new short called “Doc Brown Saves The World“! While no summary or details have been given on what this new adventure holds for the Doc, it will be part of the upcoming “Back To The Future 30th Anniversary Trilogy” release for Blu-Ray. To promote and show that it is indeed new content, Universal Pictures has released a teaser that should put a smile on BTTF fans who want to see their favorite cooky and brilliant scientist return… And with the DeLorean too! On a related note, Christopher Lloyd reunited with co-stars Michael J. Fox (Marty McFly) and Lea Thompson (Lorraine Baines McFly) for the Back To The Future 30th Anniversary panel during the 2015 London Film and Comic Con event a few months back. 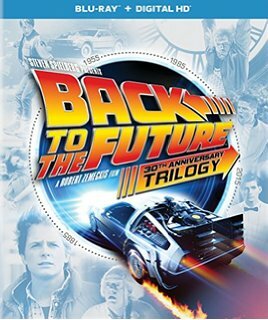 Catch Doc Brown and relive the time-traveling adventures of the Back To The Future Trilogy by getting the Blu-Ray release of the 30th Anniversary edition, which will be out on October 21, 2015 – the same date Doc and Marty McFly travel to the future in Back To The Future Part II!